The Greenway Centre, Trent Lane, Sneinton on Thursday 20th March 1-4.30pm. Free careers advice, workshops, music and food. 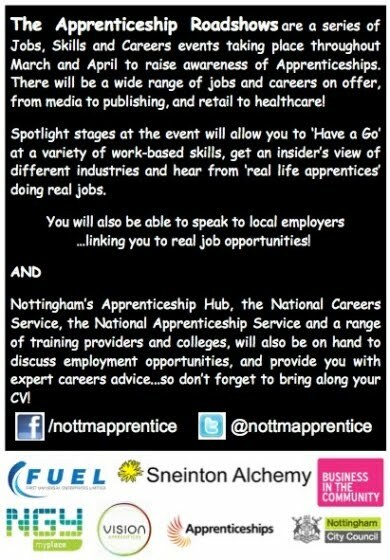 Meet employers and get an insider's from apprentices who are out there in industry doing real jobs. Bring your CV, you will need it! Sneinton Alchemy are pleased to be supporting this event through our Community Organising team. 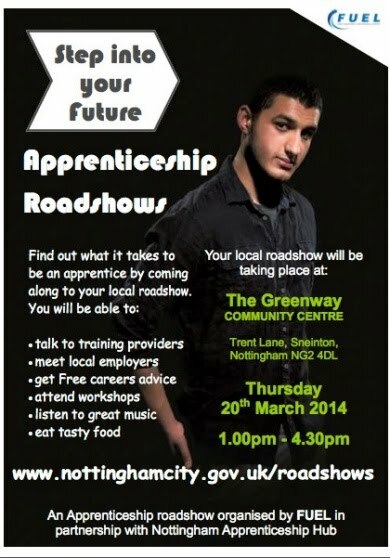 For more information check out the Roadshows website from Nottingham City Council.